It’s been a while since my last post, a whole year to be exact. Also, before my last post I share some thoughts regarding “writers and bloggers block” and how we usually get stuck without developing or writing any material, even though we should be able to. I decided to create a new set of articles related to cloud, which is one the main topics I’m currently working on my day job. The “Yada Yada Cloud” concept represents the way I’ll try to simplify these subjects, and avoiding all the “chitchat” or platitudes we sometimes get when we are researching some new cloud concept. 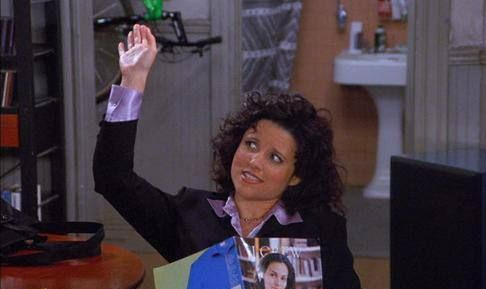 Five points if you already got the Seinfeld reference: “The Yada Yada”. 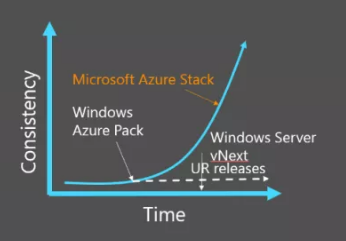 There’s a lot of buzz related to Azure Stack (formerly called Windows Azure Pack vNext) within the last few months, and the tendency clearly states that it’s not going to change. So let’s start reviewing the concepts behind Azure Stack without getting lost with all the excitement. Update: With TP3 being released, there are some important updates about features, pricing, and other topics. For more information: “Azure Stack TP3 is Here! And with Pricing“. Azure Stack Definition: Simple as you can get. What can Azure Stack provide: Review about the services we can expect to use from Azure Stack. How can I install Azure Stack? : Requirements review and the step-by-step to deploy Azure Stack. Azure Stack Integrated Systems and the operational model: Implications about the operations within Azure Stack and the integrated systems. What’s the representation of an Azure Stack instance? : Simple definition about how Azure Stack instance is represented. 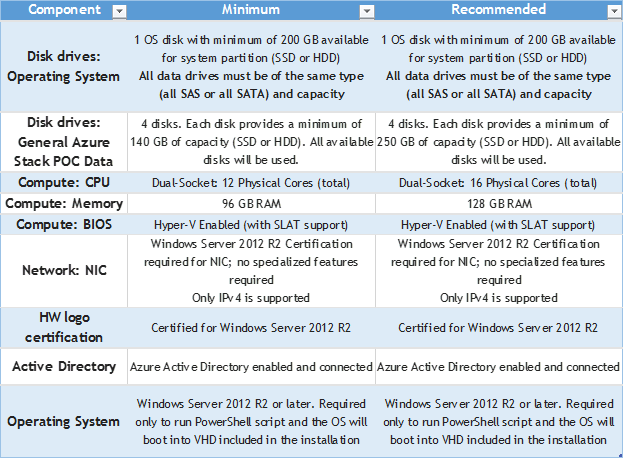 Azure Stack cost: What we know so far about Azure Stack cost. Simplifying, Azure Stack represents the way to run Azure in your datacenter. You will have an Azure implementation within hardware you own, allowing you and other companies to offer the public cloud services within your own datacenter. Azure Stack will be offered, initially, on what’s called “integrated systems”. Dell EMC, HPE and Lenovo will be the only vendors to offer the platform pre-installed on their hardware. Not all sizes will be possible initially Azure Stack (very small or very large). Instances available will be A (0 to 7), D (1 to 4 and 11 to 13) and D v2 (1 to 4 and 11 to 13). Update: Features update for TP3, more information: “Azure Stack TP3 is Here! And with Pricing“. How Can I Install Azure Stack? Currently you can find available Azure Stack Technical Preview 2 (TP2) ready for download, General Availability (GA) does not have a definitive date just yet but is expected to appear in mid-2017 (near end of Microsoft’s fiscal year). Microsoft only supports the Azure Stack deployment in a Proof-of-Concept mode (POC) in a single-node. Saying the obvious, Microsoft will not support production deployments of Azure Stack in this stage. Unofficially Microsoft stated that Azure Stack Technical Preview 3 (TP3) will come with an integrated version of Active Directory. Update: Azure Stack TP3 will not include an integrated version of Active Directory, but it will include the option to use ADFS for disconnected scenarios. More information here: “Azure Stack TP3 is Here! And with Pricing“. Microsoft offers the Deployment Checker for Azure Stack Technical Preview 2 to confirm that your hardware meets all the requirements. Update: The deployment checker works for TP3 as well, the script is updated constantly. The same requirements from TP2 apply for TP3. To get a full list of requirements and recommendations for the Azure Stack POC, access the following link: “Azure Stack deployment prerequisites”. Once you have all pre-requisites in place, the recommended steps for deployment from Microsoft is the following: “Deploy Azure Stack POC”. 1. Download Azure Stack Technical Preview, accessing this link. 2. Extract Azure Stack files and copy the CloudBuilder.vhdx file into the C:\ drive. 3. Download the Azure Stack TP2 support files using PowerShell script. 4. Run the PrepareBootFromVHD.ps1 script (confirm required parameters). Reboot will be required since the machine will boot into the VHDX. 6. Connect to the Azure Stack POC using RDP or VPN, following the guideline: “Connect to Azure Stack”. 7. And now you are ready to start working with Azure Stack, you can try “Provision a virtual machine”. When Azure Stack gets GA, the installation process is going to change? Yes, significantly: There’s not going to be any. Azure Stack will be offered with the “Integrated Systems” as an OEM. Azure Stack will come pre-installed in the hardware that you are buying, these Integrated Systems will be Dell EMC, HPE and Lenovo. There will be no option on buying on different hardware, for now. Curious fact: In 2010, in the World Partner Conference (WPC) event, Microsoft mentioned the existence of an “Azure appliance” that will be offered by Dell, HP and Fujitsu. They even stated that eBay was one of the early adapters, servicing with that appliance some of the web applications to the public. Microsoft wants to offer Azure Stack on a platform that is guaranteed to function properly. 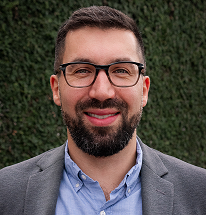 The number of hardware vendors, components and combinations are far too many to get a newly product in the market and make it compatible with all of those variables. Customers need to focus on providing services and administering the Azure Stack platform, instead of worrying about compatibility issues. Azure Stack will have, of course, updates being released periodically for the platform. Microsoft will deliver these updates and all the details on the operational model supported for Azure Stack. 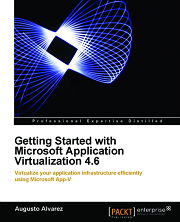 Therefore, as they have for Azure, Microsoft and the integrated systems will have a detailed manual and processes defined for: Patching operating systems, disk controllers, drivers, and firmware; replacing hardware components; and any other operational task required. The Azure Stack patching and updates releases, same as Windows Azure, will be pre-validated for software and firmware and designed to not disrupt tenant workloads. Microsoft introduced its Patch and Update Framework (P&U) with the standard edition of its Cloud Platform System (CPS). CPS was designed to run Microsoft’s previous Azure Pack software, and has been re-engineered to be an on-ramp of sorts for Azure Stack. Update: Microsoft has released the updates workflow following up TP3 and GA release for Azure Stack. It will divided in content, services and tools update; system updates and security updates. 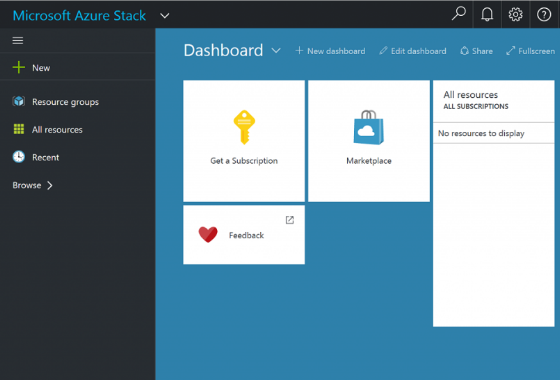 More information: “Azure Stack TP3 is Here! And with Pricing“. What’s the Representation of an Azure Stack Instance? Let’s break down these concepts. Unit of Capacity Expansion. The smallest scale unit will be 4 servers. Unofficially Microsoft says the maximum number of servers in an Azure Stack instance will be 65,000. It is also expected that number will increase in time. Currently Azure Stack POC in Technical Preview only supports a single-node for deployment, which of course is not supported for production environments (this means you won’t be able to initiate a support ticket with Microsoft). The good news stated by Microsoft is that the POC single-node option will be always available after GA for free. Update: The POC single-node mode will be called Azure Stack Development Kit in GA. It will have the same characteristics and with no cost. For more information: “Azure Stack TP3 is Here! And with Pricing“. Update: Most of the assumptions made here were confirmed by Microsoft on the release of TP3, and some additional details on pricing. For more information: “Azure Stack TP3 is Here! And with Pricing“. Microsoft wants to align the cost model to the hybrid cloud scenario for customers. Pay-as-you-go is the preferred method for Azure Stack. The idea is that you won’t be paying for an operating system license per server you are buying, but the cost will be related to an ownership model around the hybrid cloud the customer is providing with Azure Stack. Microsoft wants a unified billing for public and private cloud. Microsoft stated that customers “ready to deploy an Azure-consistent cloud on their premises now should buy Microsoft Cloud Platform Solution (CPS)”. Customers will be able to use Azure Stack to manage CPS resources thereby preserving investments in CPS. The integrated systems (Dell EMC, HPE and Lenovo) will still offer their portfolio (or at least some variations of it) of support contracts and subscriptions on their hardware where Azure Stack will be deployed. Where’s Windows Azure Pack (WAP) and Cloud Platform System (CPS) in all of the Yada Yada? 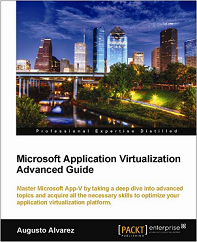 Windows Azure Pack (WAP), appeared in 2012 with Windows Server 2012 and System Center 2012 releases, is Microsoft’s software-defined hybrid cloud and bundles Windows Server, System Center and more into a package that can run VMs created in Azure and then downloaded to your own datacenter. Cloud Platform System (CPS) debuted in 2014 with the Azure appliance approach, pre-installed and configured hardware with the integrated systems, offering automation and integration with Windows Azure. WAP appears also as one of CPS components to achieve this similar hybrid cloud scenario with Windows Azure. CPS overall objectives and features are very similar that we can find now in Azure Stack. Although all signals are pointing that Azure Stack will be the preferred Azure appliance or Azure-in-a-box offering. WAP and CPS are meant to be maintained (at least for now) as a complement for the Azure Stack offering, even though there is going to be some significant overlapping. Microsoft intend is to maintain and encourage all customers that already have WAP and/or CPS to extend capabilities with Azure Stack. Update: The WAP connector will be available in Q4 of 2017, according to Microsoft. Azure Stack has been released in GA (General Availability) with updated features, Azure Stack Development Kit free download and more: “Azure Stack Is Here! Development Kit (Single-Node) Free Download Available and More“. Connecting any existing WAP/CPS platform with Azure Stack in order to allow customer to preserve any investment already made in these platforms. Enabling tenants to access VMM IaaS resources from Azure Stack portal through seamless integration. Will be released through WAP/CPS Update Rollup at Azure Stack General Availability (GA). As you can see, Azure Stack has a large number of concepts and features that can be extended far beyond this article. The idea is to set the “Yada Yada Cloud” as the place I can share and discuss these type of topics. We’ll see each other soon!